Price: $9000 or best offer. I'm the second owner and have enjoyed this extremely clean Avant A6. I've done a lot of maintenance on this vehicle. Brand new winter toyo and summer tires 50%. Two sets of 17" wheels. Dedicated winter tires and wheels. trans and diffs have all been serviced. break fluid, power steering fluid, coolant. all performed in the last 10,000 miles. Gas cylinder inserts replaced with KONI. Valve covers gasket resealed. While my car works perfectly, there are electrical audio and navigation troubles. I had hopped to maintain and refurbish this car and keep long term. However my wife feels we should stick to more affordable and less fun autos. I don't really have a garage to work on this car because I live in a condo. However it is kept inside and warm. Judging from the condition it has been in a garage its entire life. It lived in AZ for most of its life and in CO for the last 20,000 miles. My local Euro mechanic has been working with me on doing the proper maintenance and keeping an eye on things so that I can preemptively do the work that is needed. He says it's sitting really well at the moment, we are watching the the codes and doing inspections to judge when might be a good time for timing chain and tensioner work. But it isn't there yet and so I'm continuing to drive daily and listen for any changes and take it in every 5,000 miles. We have just purchased two Jetta Sportwagen TDI MK6 2014 with low miles. So this car will need to go, as we have downsized. I'm just preparing to sell, I'll get it cleaned and photos posted once the weather gets a little better. It is silver with black interior. Please send any questions you might have and I'll do my best to answer you. Last edited by uberwgn; 02-20-2019 at 09:12 AM. 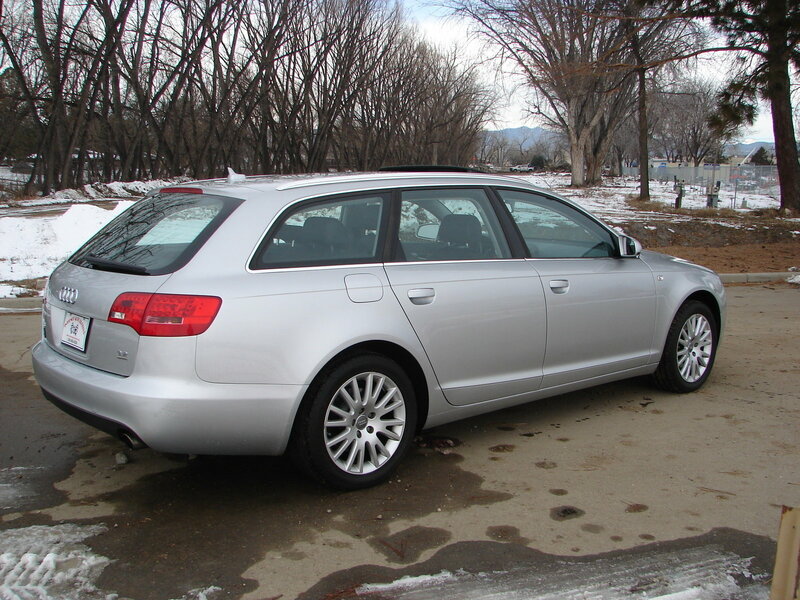 Best Avant for the track: modded B6 A4 1.8T Avant v. B6 S4 Avant v. 02-03 S6 Avant?